Description: The Merchant Shipping and Fishing Vessels (Health and Safety at Work) Regulations 1997 (as amended1) (“the Regulations”) cover the work activities of anyone working on fishing vessels, regardless of their employment status. 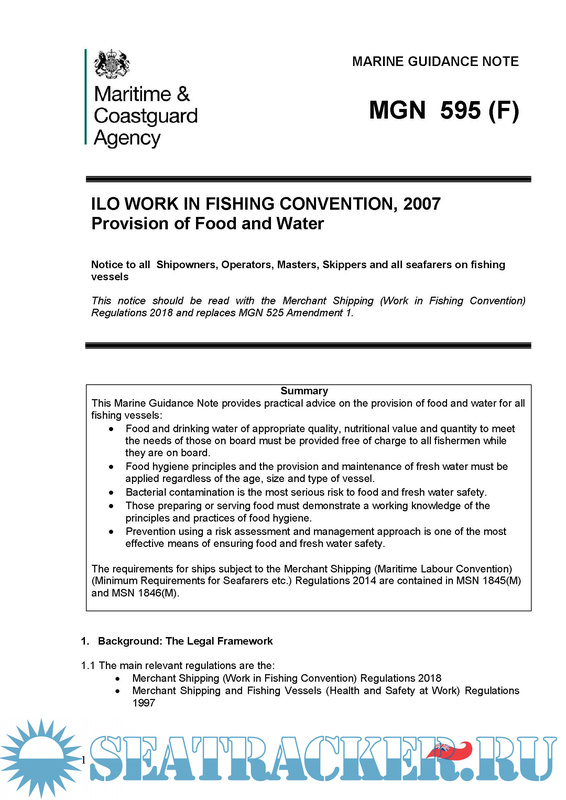 Employed fishermen and self-employed share fishermen are all protected by the International Labour Organisation Work in Fishing Convention (ILO 188), and the fishing vessel owner has responsibilities towards anyone working on their vessel. 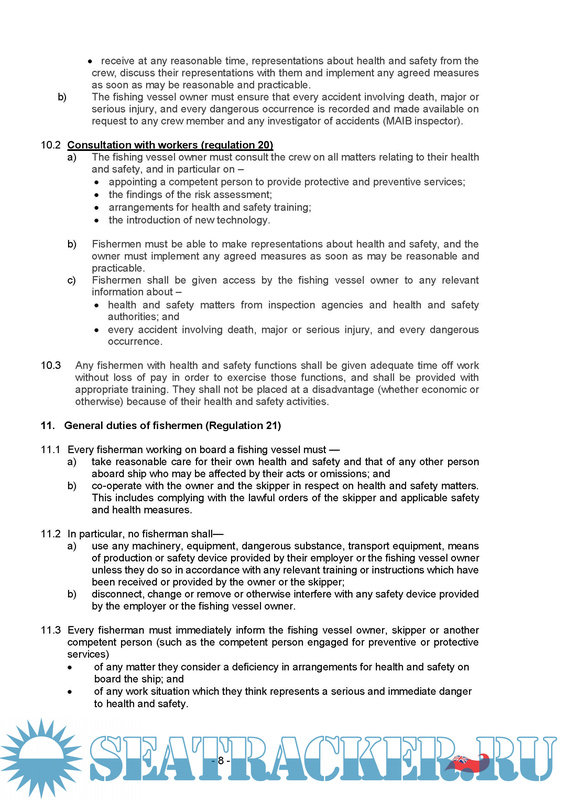 The sections of the Regulations which all fishing vessels must now comply with are set out in this notice. 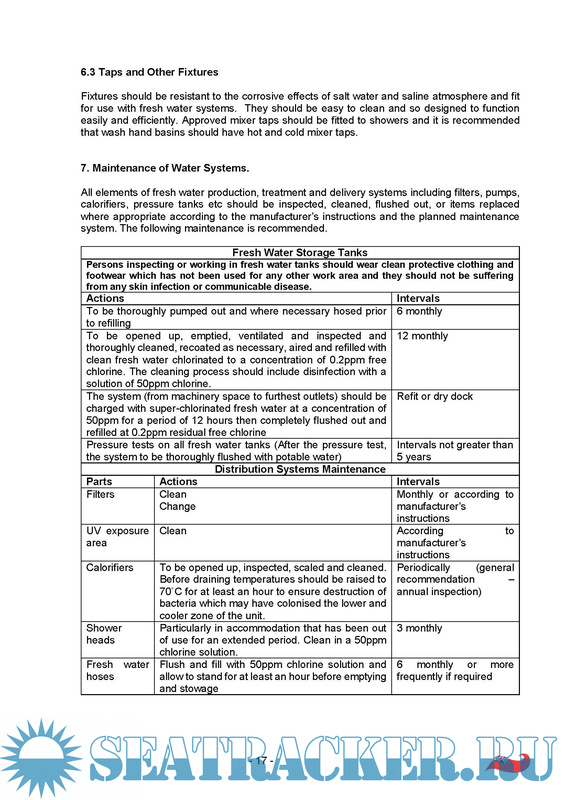 In providing food and drinking water on board ship, account should be taken of factors including the duration and nature of the voyage; the number of crew on board; and the quantity, nutritional value, quality and variety of the food. The religious requirements and cultural practices of the crew as they relate to food should also be taken into account. SerTan,Sorry for the inconsistency. I hope it's OK Now.